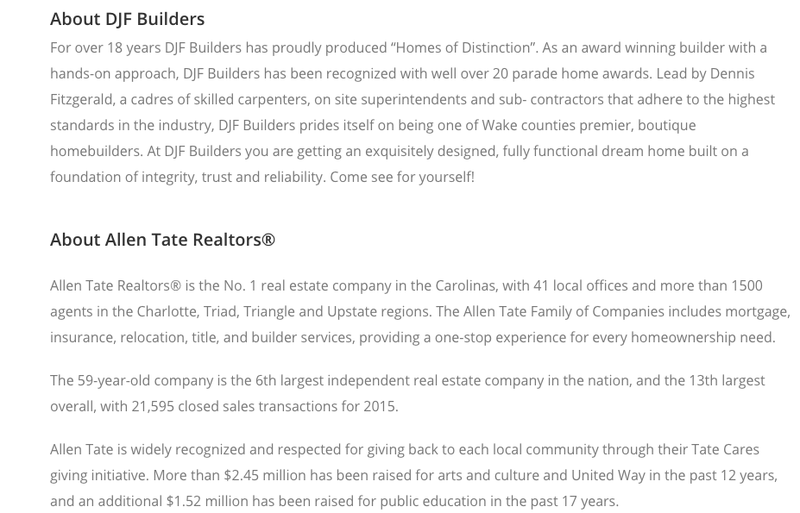 Please Make plans to attend the DJF Builder's Designer Showhouse which opened March 25th and runs through April 9th! NOTE: House is closed on Mondays and Tuesdays. The House is really beautiful. You don't miss seeing this spectacular project! The group of designers who participated in this house includes some of the best designers in North Carolina! Come see what the Madcap Gents created for the living room and see their new collection of fabrics for Robert Allen! There are so many great designers in this house, I'm not going to name them all! Trust me, you need to put this on your calendar and plan to attend! Beautiful fabrics, wallpapers and on trend ideas and products makes this house a showplace for sure! 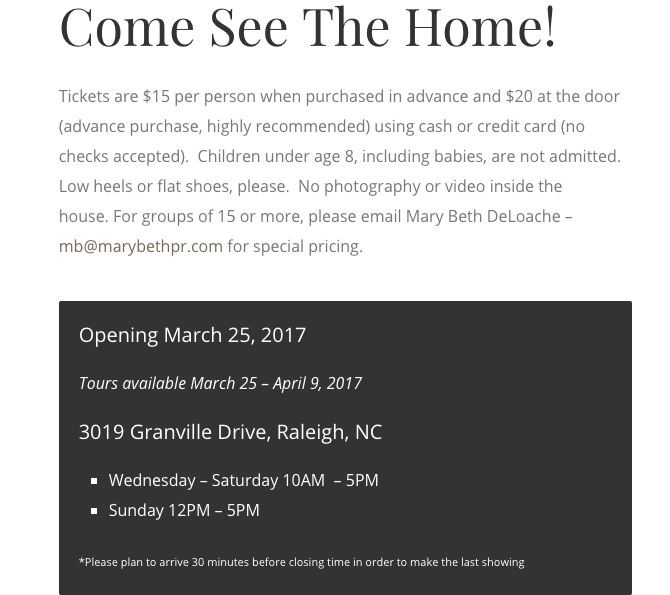 Whether you are building a home yourself or want to see what's hot in the interior design world, this house is a don't miss! Get your tickets now! Our wonderful sponsors! Thank you so much for making this happen! Lisa Mende Design was nominated by Jackson Design & Remodel for "Best Micro Blog" Will you please vote for us! If you click here it will take you to the voting page! Look for us under the "Micro Blog" Category and log your vote! You only have to vote once! 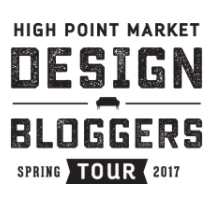 I'm happy to announce that I'm going to be participating as a member of the Design Blogger's Tour for April 2017 at High Point Market sponsored by Esteem Media. 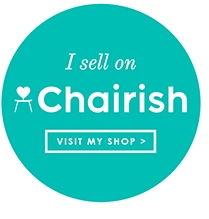 We will take you behind the scenes of High Point Market and show you what we find! 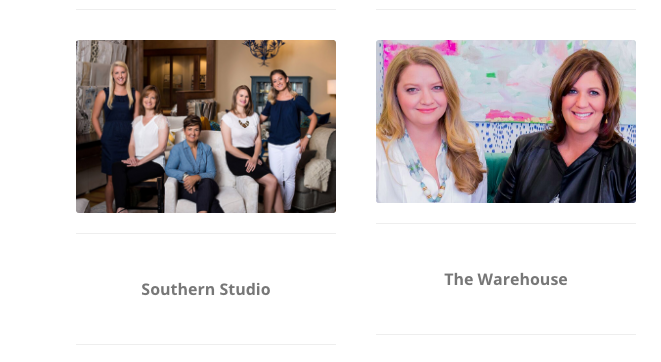 This is a stellar line-up of design blogging talent. Make sure you follow all of them on instagram and all their channels for that matter to stay up on what's hot and trending at High Point in April as well as new resources and some other fun surprises! Here's the lineup for the Spring Tour! Hello LMD readers! I hope this post finds you enjoying a relaxing Saturday with your family and friends or whatever brings you joy on your precious weekend. As you know if you have been following me on instagram, we recently moved into a new home. The boxes are everywhere, waiting for my attention. Client projects are piling up as I'm behind with work from taking time away to pack the years of family memories in a moving truck and setting up a new homestead. Also, during the move, my body chose the unfortunate opportunity to get sick. Needless to say, life has been pretty hectic the past couple of weeks. I sat myself down this morning and gave myself a huge talking to. Do you ever do that? I frequently have to remind myself that Rome was not built in a day and those boxes will wait til I feel better. I'm sure part of my anxiety is due to my profession. It's an occupational hazard to be the one who makes life so pleasant for others when your own life feels like a booby trap when entering your own home. I have struggled with this greatly since the move. On the days I was sick, I dragged myself down to the sofa so that I could sit with my family. Out of the corner of my eye, the mountain of boxes was calling to me, so I retreated upstairs to the lonely quarters of my bedroom just to avoid the guilt. Today, I continue to fight this nasty crud, but am determined to tackle some of the boxes. By the way, we are in love with the new house. Every morning, my husband and I begin our day in our "morning room" aka the living room. We like this room because sunlight floods in and there is a gas fire which happens with the flip of a switch. It's toasty and warm. We have decided this room will be furnished with comfy furniture, not "living room" furniture since this is where we start our day and have our morning devotionals.